I have previously written about my teacher, Dr. Neill H. Humfeld, in my blog. My feeling about sharing my experiences as a student of Dr. Humfeld only continue to grow as my own career continues. 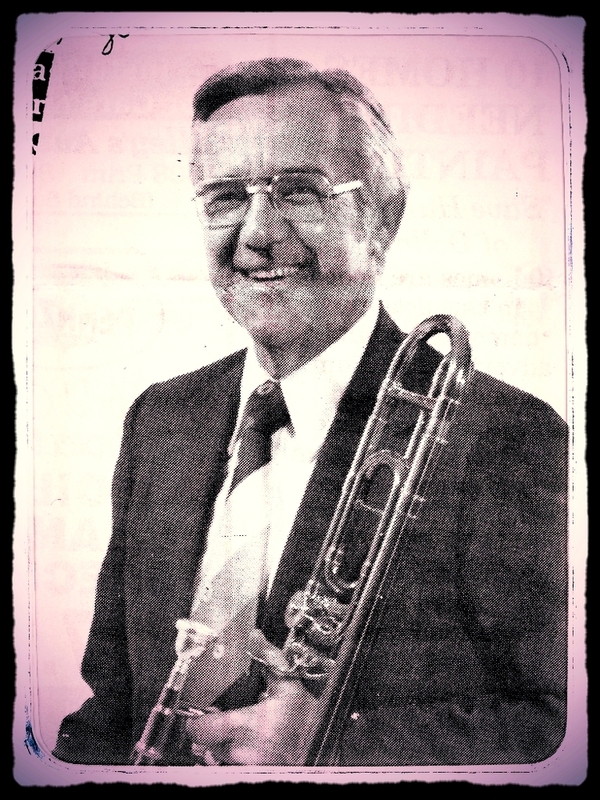 The International Trombone Association still presents the Neill Humfeld Award for outstanding educators every year, but as we approach the 30th anniversary of Dr. Humfeld’s passing, the number of trombonists that knew him, studied with him, and heard him play is dwindling. 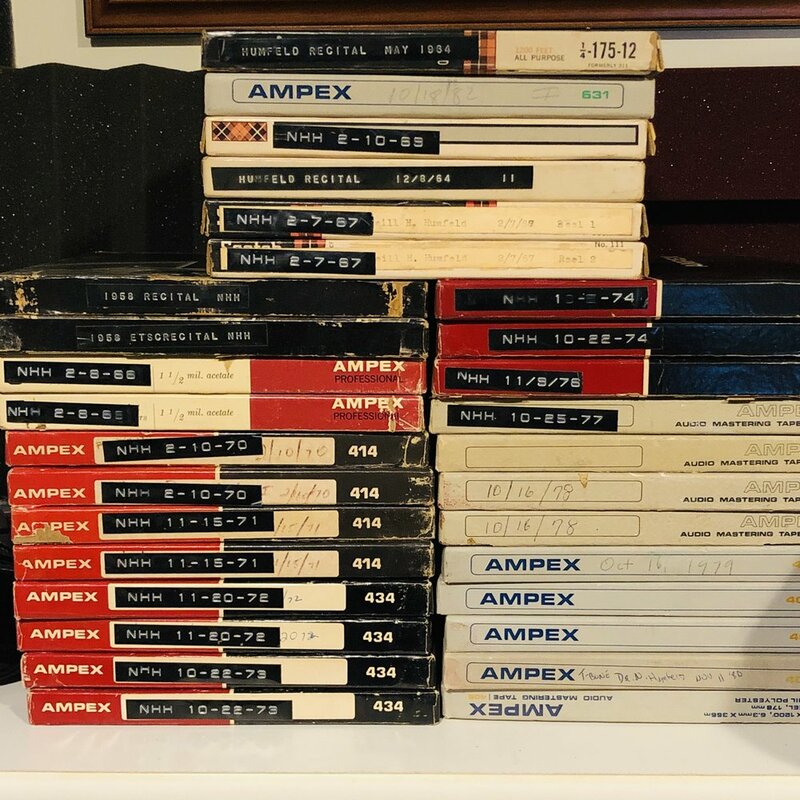 When Dr. Humfeld passed away, my father and I came into possession of many analog tape reels, containing pretty much the complete recorded history of Dr. Humfeld’s recitals and significant concerts over the course of his career at East Texas State University (now A&M-Commerce). It’s always been in the back of my mind to “do something” with these tapes! We have times in our life where connections seem to just fall in to place. It can feel like we find ideas, projects, or music that has just been waiting for us, tucked away in a box or a drawer, waiting for us to put the pieces together and realize the time is right to make something of it. It’s like my youngest son, when he comes home from 1st grade and I mention something he studied that day, and he gives me the “connection” sign, thumb and pinky extended in what many of us know as the Shaka or aloha spirit sign. I had one of those moments this fall. The realization hit me that I had all these tapes, and through my recent studies in audio production at Berklee College of Music, I now had the knowledge and means to do something with them. So, what is the project and what are my goals for it? I decided first that I need to transfer all of the tapes that I have to digital media. Tape doesn’t have an indefinite shelf life, so I know that many of these recordings may be in the twilight of their playable lives. So, I initially planned to simply preserve the tapes. Next, knowing many of the tapes may be deteriorating, and having begun doing some audio mastering, I decided to…. Remaster each recital recording, to achieve level consistency between concerts, and to perform any noise removal or restoration needed, depending on the condition of the original tape. Produce a CD package with a booklet containing Dr. Humfeld’s biographical information, program notes, photos, etc. Chris, you dummy, no one has CD players any more, so though they will be glad to get the CD package with photos and notes, you better include a download card so they can listen to the tracks on their phone or computer! Well, producing CDs and album booklets costs money, so…. I’d like to think Dr. Humfeld would be happy to know that his music and teaching is still inspiring and benefitting young musicians today, many years after his golden tone left us. and leave your comment, then click the link to read other comments about Dr. Humfeld! Sitting in front of one of the finest pieces of analog technology ever made… a Studer 820 tape console!